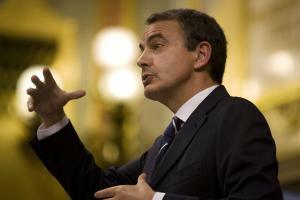 By reading the French daily Le Monde, I came across an interesting interview [Fr] of the Spanish Prime Minister, M. Zapatero. There he stated that one of the solutions to get his country out of economic trouble is green growth. Several other countries including the United States, China and South Korea already did so and as much 430 billion dollars have been already allocated to green New Deals worldwide. Well advanced in biotechnologies, the country is willing to work much more on energy efficiency and conservation, renewables and high speed trains. Huge achievement in high speed trains. To sell his vision of a high-speed train network to the American public, President Barack Obama this week cited Spain, a country most people don’t associate with futuristic bullet trains. Yet the country is on track to bypass France and Japan to have the world’s biggest network of ultrafast trains by the end of next year, figures from the International Union of Railways and the Spanish government show. But those centuries-old habits are starting to change as Spain stitches its disparate regions together with a €100 billion ($130 billion) system of bullet trains designed to traverse the countryside at up to 218 miles an hour. But the AVE-which means “bird” in Spanish- proved to be a popular and political success. (…) Under the latest blueprint, nine out of ten Spaniards will live within 31 miles of a high speed rail station by 2020. By last year, the sprawling network of lines that stretches out from the capital, Madrid, reached Málaga in the south, Valladolid to the north and Barcelona in the country’s northeast. Now, residents of Barcelona can be in Madrid in just over two-and-a-half hours-a journey that takes around six hours by car. In the year since the Madrid-Barcelona line opened in February 2008, the AVE, costing passengers roughly the same as what they would pay to fly, has snatched half the route’s air-passenger traffic. (…) Critics say the AVE will never stop losing money. Even its backers say high-speed rail can only be economical if the state bears much of the construction costs. But they say the train’s benefits-lower greenhouse-gas emissions, less road congestion and, in Spain’s case, greater social cohesion and economic mobility-make it an investment worth making. (…) The AVE was originally designed to compete with the airplane for commutes between major cities around 300 miles apart. The interactive map on the article is really worth watching as it shows the current and projected extent of the network. Spain is putting a lot of money on this project but I can tell you high speed trains are really worth the investments. Thanks for a terrific article. I found it very helpful as well as interesting. Thanks again!